If you run a business, chances are you want more customers. Even if things are going great, growing your business even further will help you reach your ultimate goals. Whether you provide a service to local customers, or you sell a product online, having a regular stream of new customers is a sure fire way to increase your revenue and grow your business. But let’s take a step back for a second. Before we can think about bringing in new business, do you have a website? Are people viewing your website? Most businesses do have a website, if you don’t you can either make one yourself (I would recommend WordPress but there are lots different web builders available) or get a web designer to build one for you. But once you do have a website, are people viewing it? Are your visitors becoming paying customers? 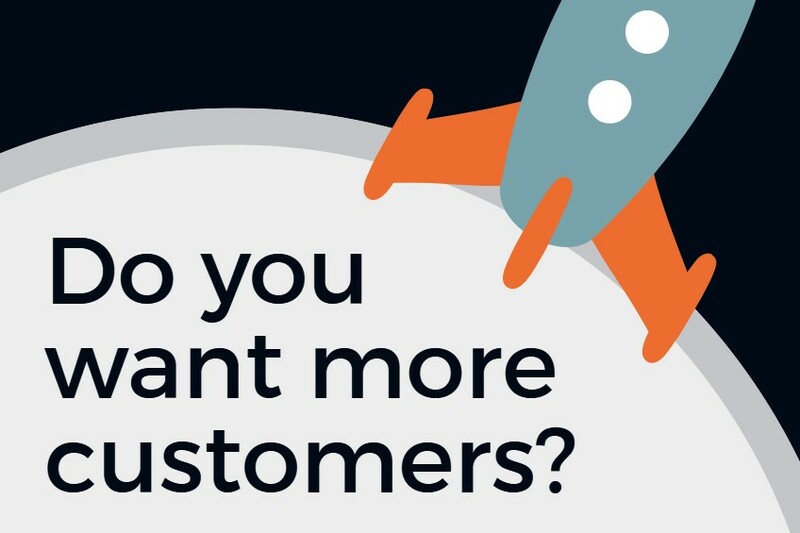 These questions are crucial if you truly want to grow your business and get more customers. I say this all the time, there is no point in having a website if no one is viewing it. How are people going to find you? It astounds me how many times I hear from people who expect their site to automatically be at the top of Google without putting in any groundwork to make this happen. Most businesses have competitors, there may be hundreds of competitors within your niche or they may be only a few, but one thing is certain and that’s people will go to your competitors if they find them online and not you. So how do you make sure your business stands out amongst the competition? How can you be sure potential customers will find you and not a rival business? The answer is an easy one. Get your business on page one of Google. Whenever a potential customer is searching for anything related to your business or your services, make sure it’s you they find first. Sounds simple, actually this is harder than you may think. If you’re a dentist and you provide your services in Manchester, it makes sense that ranking well for the term ‘Dentist in Manchester’ will bring you a significant amount of traffic and new business. It most likely will, but what about all the other dentists in Manchester? How do you get above them? This is where the fun starts…. SEO is a vast topic and there is a lot involved, particularly within competitive markets. Here are some things you can do to help improve your ranking and get ahead of the competition. As all businesses are different, you may not need all of these things, you may need more than this, but it’s certainly a good starting point. You may know what you WANT your website to rank for but this may be different to the keywords you SHOULD be targeting. Keyword research helps you identify the words and phrases that people may be searching for and establish factors such as how many people are searching for the term and how competitive it is. This is a pretty important part of the SEO process as you don’t want to spend time targeting keywords that no one is searching for or terms that are missing the user intent. Although keyword research is important, remember that search engine algorithms are sophisticated and they can ‘understand’ similar words and phrases. You should always write for your readers and use any keywords naturally within the content. Stuffing your content with keywords will have a negative effect on both the experience for the user and on the way your site performs in the search results. Tools such as Ahrefs and SEMrush will give you lots of data about a particular keyword such as cost per click, search volume and difficulty. A website with thin content is unlikely to perform well, particularly in a competitive market. At the very least you should be talking about the topic in detail and making sure you do include some keywords (very naturally) within the page. Your content is one of the most important aspect of your website. It’s what your visitors read, it’s what a search engine indexes and it can be the difference between a successful website and a site which doesn’t attract a huge amount of traffic. Your sales pages and service pages should be written to promote your services and provide information to your readers about what you can offer them. Your blog should contain useful information and enable you to showcase and share your expertise. Without content, it’s going to be difficult to achieve significant results. You should map out the keywords you intend to target and make sure you have enough content about each particular topic. Remember that your web pages will rank individually, don’t think of ranking your site as a whole. Try not to target the same keyword(s) on multiple pages as you may end up competing against yourself in the search results. One page can also rank for a significant amount of keywords, a page won’t necessarily only rank for it’s target keyword. The important thing to remember is to write comprehensively about the topic, provide value and insightful information for your readers whilst also focussing on on page SEO. On page optimisation is important to make sure search engines can crawl your website. It also helps a search engine understand the content on your pages. You should pay attention to how you structure your content, make use of headings, make sure not to overuse any of your keywords and don’t forget to optimise your images. You should also pay close attention to your URL structure, make sure your site is easy to navigate and check that it is fully mobile responsive. This article from Search Engine Journal provides some useful on page SEO tips. What exactly do we mean by titles and meta descriptions? The page title is not the heading that is visible on the page, the page title refers to what you see in the search results. This should give an overview of what the page is about and entice people to click. Similarly, meta descriptions are also not visible on the page, these are the short descriptions that you see in the search results. Make sure your descriptions are relevant to the page content and keep the meta description concise but interesting. This is your opportunity to grab the reader’s attention and make sure they click through to the page. Page titles and meta descriptions are not thought to be a direct ranking factor, but they can significantly help generate more clicks through to your website. As well as needing a creative approach, SEO also requires a technical focus. There are many aspects that can affect your websites performance in the search results and it’s a good idea to look at these technical factors for any inconsistencies. Every local business should have a Google My Business listing. This helps you to rank in the ‘map pack’. The map results are based on proximity so if you are a local business, having your business display here can result in a lot of extra traffic and enquiries. The map results are different to the organic results. Making sure your business displays here requires a slightly different approach and is largely based on local factors. Building consistent citations on local directories (citations should consist of your business name, address and phone no), having locally relevant content on your site and increasing your Google My Business reviews can help. As with most things SEO related, this may require a different approach for different businesses as some search terms are more competitive than others. One of the best ways to generate a strategy for your own business is to look at your competitors. I’m not saying you should do everything they do, far from it, but having an insight into their strengths and weaknesses can help you stay a step ahead. Companies look at their competitors marketing activity to get in insight into what is working for them and what can be implemented into their own campaigns. Keep a close eye on what your competitors are doing and see if there is anything in particular that seems to be working well for them. Understanding your competitors will also help you get an idea of exactly what is needed to beat them. If your competitors aren’t doing much in the way of digital marketing, it won’t take much to get ahead. If they have strategies in place and are at the top of their game, you know there will be a lot more work needed. Having said that, it’s important to keep the focus on you and your business. You do you and let them do them, you don’t need to copy what other people are doing. Just make sure you get an idea of who your competitors are, who are the ones to watch and what they are doing that’s particularly successful. It’s important for me to mention here that not every business will need links and this shouldn’t be the first thing you do. 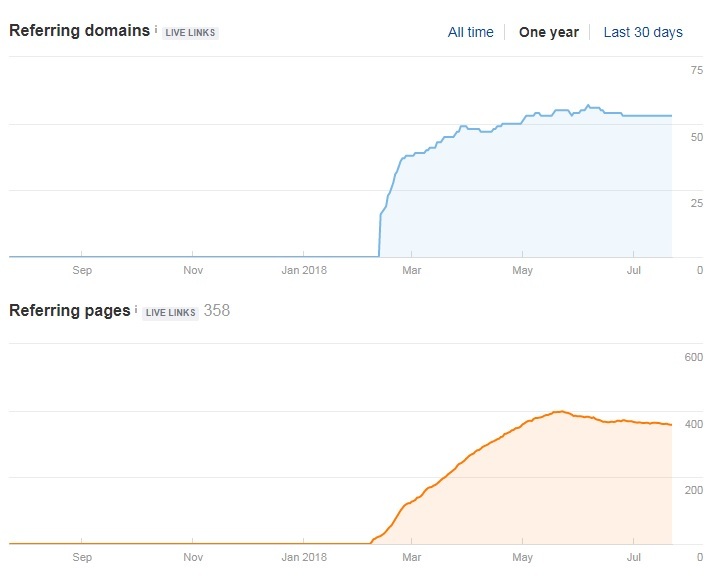 It’s no secret that links are one of the top ranking factors and it doesn’t look like this is going to change anytime soon. Links from other websites to your website will help drive more traffic to your site as well as give you a boost in the search results. If you are a small local business, you may not even need any links at all. If you have a large national brand and are competing for difficult keywords, links are a must. Of course, there are always exceptions to this, some small business may need links and some larger brands may not, every business and every industry will likely require a different approach. The point I’m trying to make is, the more competitive the market, the more likely you are to need links. There are many different ways to acquire links to a website. I do this via outreach which involves reaching out to bloggers and site owners. Content is crucial when building links this way as you need to have something of value in order for people to want to link to it. If your content is top quality, other people may naturally link to your site. You can use a tool such as Google Search Console or Ahrefs to see what sites are currently linking to you. If you have ever done any sort of marketing, whether online or offline, you’ll know how important it is to know your audience. You need to know your target market, identify your target customer, understand what they want, what they are looking for and what problems they face. This is no different for SEO. Ask yourself, what are are your target customers searching for? What questions are they asking? Remember that the aim of a search engine is always to provide the best possible results for any given search query. Make sure that your website will appeal to your target market and provide a solution to what they are searching for. Targeting the wrong audience and missing out on reaching your potential customers may still see an increase in traffic to your site, but it’s wasted effort if this traffic is unlikely to convert. It’s often perceived that SEO is all about traffic and ranking. That’s a huge part of it, but there is no point driving traffic to a site if the people viewing it aren’t interested in what you are offering. It’s important to not not only identify your target audience but to make sure that these are the people who are viewing your website. By targeting keywords with the right intent and identifying your exact target market, you should attract the right audience. Once traffic has increased and more people are viewing your site, for me it doesn’t end here. A lot of seo providers simply aim to get more traffic and that’s great but if the traffic isn’t generating new business for you then what’s the point? Converting your visitors into paying customers is pretty key to growing your business. You need to make sure you website is attractive, user friendly, well written, contains compelling copy, provides detailed information and includes call to actions. It’s important that your site resonates with your target audience in order for people to convert from simply visiting your site to actually getting in touch or making a purchase. There are various ways to track your performance and see how your site is improving. Google Analytics is a free tool, it’s very simple to set up and provides information regarding how many visitors your site is getting as well as where your visitors are coming from. Google Analytics provides useful insight into your visitors such as age, location and whether they are new or returning visitors. Google Analytics also provides data about your site such how long people are spending on the site, which pages are the most popular and the journey users take to navigate through your pages. Google Search Console is also free, it gives you information regarding how much traffic your site is getting as well as the number of impressions. You can also use Search Console to check for any error or warnings, submit your sitemap for Google and see how many pages are currently indexed. There are various rank trackers available to monitor your ranking positions. A lot of the trackers available do cost, however Serprobot is free and will enable you to check your main keywords whenever you like. If you wish to monitor a large number of keywords, Pro Rank Tracker is a good choice. By tracking and monitoring your site you will be able to see if what you are doing is working or not. The data you collate will also help you to calibrate and adjust your strategies and processes if you aren’t achieving the desired results. It’s important to remember that SEO takes time. It isn’t an overnight quick fix, it’s a sustainable approach to bring long term results. Once you do begin to see an increase in your rankings and website performance, you’ll see that more people are viewing your site, more people are enquiring and more people are buying from you or hiring you. When business owners tell me that they don’t need SEO, I don’t usually agree. If you provide a service, why not put yourself in the best position to get the customers that are looking for the services you provide. Why not make sure people are directed to your products and not your competitors.